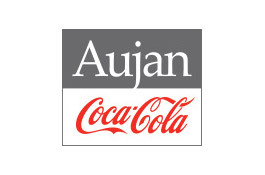 (07/14/2014) Aujan Coca Cola Beverages Company (ACCBC), a leading regional bottler and beverage manufacturer, is pleased to confirm that it has completed the acquisition of a majority stake in the National Beverage Company S.A.L. (NBC). NBC is the manufacturer and distributor of Coca-Cola, Pampa, and several other popular products in Lebanon. ACCBC has acquired its stake from Transmed, a consumer products distributor, which retains a holding in NBC. The deal enables NBC to benefit from ACCBC’s significant expertise and scale. It also ensures Lebanese consumers continue to enjoy real choice within the local market. ACCBC is an established and successful international business, with operations across the MENA and Levant region. Its popular products such as Rani, Barbican and Vimto are enjoyed by millions of people every day, including by consumers in Lebanon. Nicolaas Nusmeier, CEO of ACCBC, said: “We are delighted to have completed this important transaction. ACCBC has seen consistent growth in virtually all of our markets over a long period, and we plan to replicate this performance with NBC by focusing on increasing its market share within Lebanon. The Aujan Coca-Cola Beverages Company (ACCBC) is the authorised manufacturer of brands including Rani and Barbican, and is also the licensed manufacturer in the Middle East of Vimto. It was established following a US$ 1 billion joint venture between The Coca-Cola Company and Aujan Industries, which also led to the creation of Rani Refreshments, the global rights holder to brands such as Rani and Barbican. ACCBC currently operates from two manufacturing facilities in the Middle East. Transmed is a regional distributor of fast moving consumer goods operating in 10 markets across the Gulf, Levant and Africa. Established in Lebanon since 1946, Transmed focuses on the distribution of a very extensive range of Household and Personal Care Products, Food Retail Products as well as Food Services.